“taz. die tageszeiung” Berlin newspaper review and mini interview at the occasion of Agnieszka Rowińska’s Afterimage exhibition at SomoS. 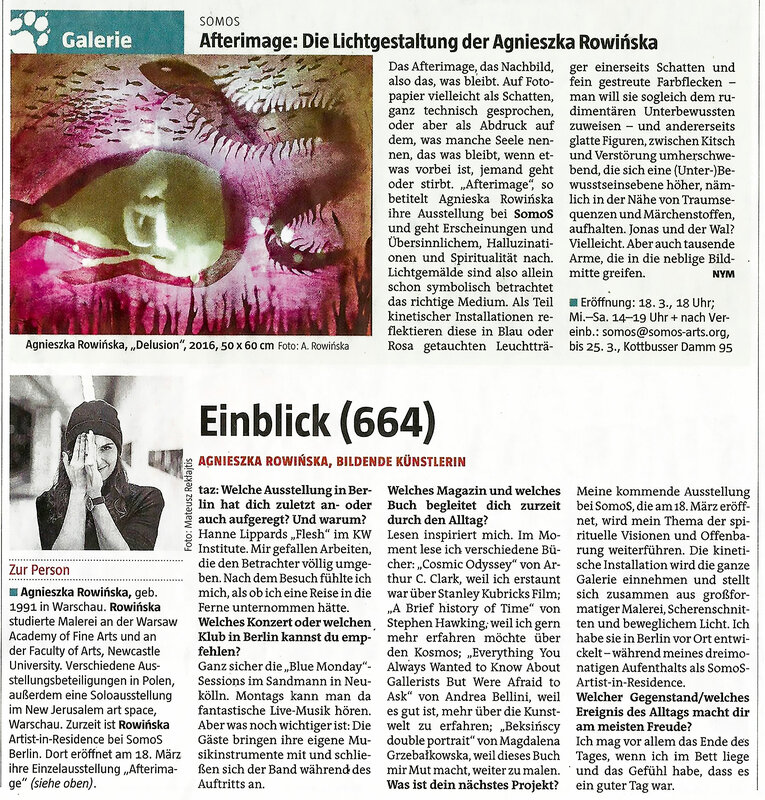 An imaginative review by art writer Noemi Molitor plus interview in which the young Polish artists speaks about her Berlin discoveries and SomoS exhibition.